CORE (Community Reconciliation) Viet Nam gives American veterans and civilians an opportunity to learn the ways of reconciliation, healing and peace by making possible group travel to Vietnam. The next journey is scheduled for March 10-26, 2017 with only a few spots left. During the upcoming travel CORE will facilitate a tour through the beauty of Southeast Asia, while reconciling with war trauma and providing humanitarian aid. 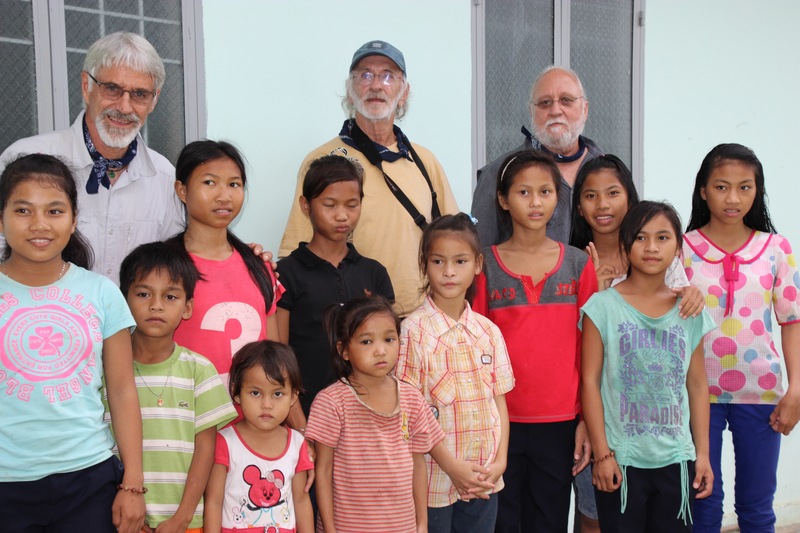 Please log in to http://www.corevietnam.org for a list of projects that need your support. CORE is a not-for-profit 501(c)3. Your tax deductible donations assist veterans travel, support Agent Orange victims, and other needs for disabled and impoverished. While the culture seems to allocate ample funds for war creating multitudes of veterans, it seems inadequately proportional when tending their wounds after the fact. The calamitous squeal results not only for the lionhearted within in the nation, but for the entire populace. Community reconciliation occurs when the burden of the warhorse is carried by the multitudes. Our taxes do not seem to be employed to make the difference necessary, so our donations are vital. CORE (Community Reconciliation) Vietnam is an organization with activities designed to restore veteran and civilian relationships from all wars with intentions to acquire a society in harmony. (Please indicate if you wish your payment to be applied to a particular project listed above). Donate Button is for PayPal Account contributions only. After clicking on button, press pay with PayPal Account. Paying with credit card must be done as mentioned below. Please email, call or mail credit card information for direct deposit into CORE Viet Nam Non-Profit Banking Account. Please include NAME, Credit Card Number, Expiration Date, CVV # found on the back of the card, Billing Address and Zip Code. Email all information to: Corevietnaminfo@gmail.com, or call 303-909-8336 or mail information to address below. CORE is a 501c(3) non-profit and all donations are tax deductible…you will receive a receipt for your donation. Thank you for caring. Absolutely 100% of all donation gifts made to CORE go to the humanitarian projects listed above. No salaries or stipends are rendered—CORE is an all volunteer organization.